On August 31, 2017 the second phase of the Galeria Wołomin scheme has opened. The Retail Park of 6,500 sqm GLA offers 7 units, broadening the Galeria Wołomin offer. The new anchor tenants are among others Jysk, Media Expert, Komfort and Maxi zoo. 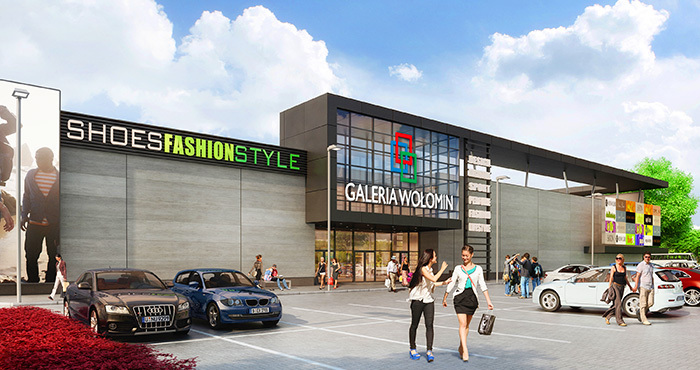 The success of Galeria Wołomin is being noticed and attracts more and more retailers to the neighborhood. In December DIY Leroy Merlin will for instance open just right next to Galeria Wołomin and the new retail park.